Abraham Lincoln opened a general store in New Salem, Illinois in 1832. People hoped that the Sangamon River would be an effective trade route to bring goods in to and out of New Salem. The river wasn’t all it was cracked up to be, though, and there weren’t any roads or rail lines that made other markets accessible. Can you imagine having a business in a location where UPS or FedEx doesn’t deliver? And you can’t get a semi truck with goods into your town? Clearly a problem. As the new year started in 1833, things were getting desperate. 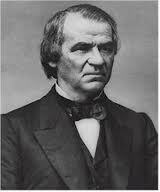 Lincoln’s partner, William F. Berry, applied for a liquor license, hoping that he could at least dispense alcohol. Either the people of New Salem didn’t guzzle enough booze, or Lincoln and Berry drank it all themselves, but the extra income from the alcohol wasn’t enough to save the store and it went bankrupt later that year. Our 17th president teaches us the importance of creating a community in our small businesses. Johnson came from a background of extreme poverty. He had no formal education and taught himself to read and write. In 1827 he opened a tailor shop in Greeneville, Tennessee which immediately became a community gathering place. Johnson, determined to become more educated, hired people to come into the shop and read to him while he worked. Imagine a cozy little tailor shop, with Andrew sitting in front of the fire, hemming a pair of pants, as a young scholar reads aloud from a James Fenimore Cooper novel. Throw in some chocolate chip cookies, and you’d surely have the kind of place where people long to hang out. And it was. The business thrived and the community gatherings increased as Johnson grew interested in politics and invited people to the shop to engage in debates and conversations. 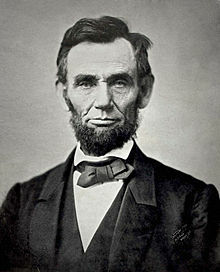 Eventually, he found his way into local politics and a political career, culminating in his election to Vice President to Abraham Lincoln (after Lincoln’s assassination, Johnson became President). Is your shop the kind of place where people can gather to exchange ideas, socialize or relax? Barnes & Noble figured this out years ago when they grouped plush, comfy chairs throughout their bookstore, enticing book buyers to stop in, buy a cup of coffee and find several books they absolutely must own. Other types of businesses followed suit, and now yarn shops host knitting clubs, coffee shops host open-mic poetry readings, retail stores hold special shopping events where people can come dressed in pajamas after-hours and drink hot cocoa while they peruse the racks. Use your imagination – surely you can think of a way to bring community into your store. Truman’s small business failure teaches us that it’s ok to fail, and that there’s a benefit to being the kind of stand-up guy who pays his debts. After his military service, Harry S. became known as quite a snappy dresser (he was probably thrilled to introduce color and style into his wardrobe once he ditched the World War I uniform). After briefly attending (and subsequently dropping out of) business school and then law school, he decided to capitalize on one of his passions: men’s clothing. Truman opened a haberdashery (a fancy word for “men’s clothing store”) in 1919 and it was very successful. Unfortunately, he had terrible timing. The country went into a serious recession in 1921 and people stopped buying expensive ties and fancy cuff links. Truman’s store went bankrupt. Truman didn’t run from his debt, though. He made regular payments on it for years. As he was running for U.S. Senate, a banker named William Thornton Kemper took over the debt and allowed Truman to pay it off for just $1,000. Then Kemper turned around and donated $1,000 to Truman’s campaign fund. 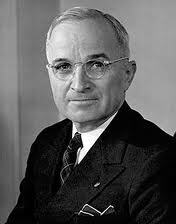 After he failed at his small business, Truman went on to become a U.S. Senator, Vice President, and two-term President. There’s no guarantee that your business won’t suffer from bad timing or even a setback or two. In the last decade, a terrorist attack, stock market crash, housing bubble burst and major recession have all taken their toll on small businesses. It takes a lot of guts to open a small business and work at becoming successful. But Truman would tell you, “If you can’t take the heat, get out of the kitchen.” Find your passion and jump in with both feet. If you fail…you can always run for U.S. Senate. Welcome to the Signs.com blog!